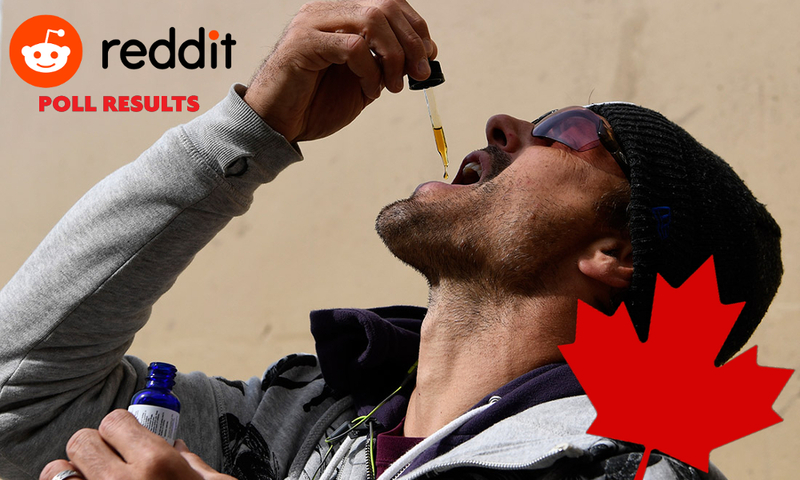 Between December 2018 and January 2019, Canadian CBD users were asked to participate in a survey on the social aggregation platform Reddit. During these two months, about 100 people participated and reported about their experiences with the promising cannabidiol. Due to the nature of Reddit, the results are not representative of the general Canadian population. The full results of the CBD survey can be found on Strain Insider. How old are Canadian CBD users? The vast majority of all survey participants has stated that they are between 18 and 30 years old (51%). Another considerable share of 39% is between 31-50, while 10% are more than 50 years old. There was no participant above the age of 80. Though it needs to be said that Reddit is known to mainly consist of a millennial audience, which could have influenced the survey results. Which diseases do they treat with CBD? With this question, participants were able to pick from various options or even fill in their own answers. The lion share of Canadian CBD users is apparently using it to treat stress and depression. About 40 percent are using it treat sleep disorders and pain, while some people also use it for anxiety, PTSD, migraine, epilepsy, ADHD and some other diseases. How do Canadians consume CBD? In terms of consumption methods, most Canadians seem to be relying on traditional CBD oils or extracts. About 44 percent of them are enjoying CBD Vaping oils or tinctures, while roughly one third is preferring CBD buds. Creams and lotions seem to be used by about 20 percent, whereas edibles are at the lower end of the list with 17 percent. Other ways of consumption include CBD dabs, pills/capsules and nasal spray. How much CBD do Canadians use? Surprisingly, close to 70 percent of Canadian CBD users have a daily dose of less than 100 mg. In fact, many participants claimed that it’s even well below 100 mg, around 30 to 50mg a day. Due to the fact that most scientific studies on CBD are using way bigger dosages, of 200mg upwards, these results become even more surprising. At least 27 percent are using dosages between 100 and 300 mg, while only 3 percent claimed that their daily dosage is between 300 and 500 mg.
How much do people spend on CBD? According to the survey, 83 percent of the people who participated spend less than 100$ a month on CBD products. 14 percent are spending between $100-$300, whereas a small percentage of 3 percent is spending between 300 and 600$. Did they have any negative experiences? When asked about negative experiences, around 10 percent of the participants gave an answer. Some complain about sleepiness, drowsiness, nausea or the fact that using CBD requires deep pockets. One person, however, mentioned that using CBD is intensifying a previous condition. “I am predisposed to tinnitus because I have some ear issues, but it seems like my ear ringing intensifies when I’m taking CBD regularly,” he said. Would they recommend it to other people? Despite some participants’ negative experiences, a whopping 97 percent of them would recommend using CBD to other people. Moreover, 70 percent of all participants would rank their experience higher than 8 (on a scale of 10). Only 9 percent chose a rank below 5, while no participants rated their experience below 3. What do they think of CBD? The following are a few quotes that participants were able to leave at the end. Take it as food for thought. Can using CBD make me fail a drug test and lose my job?